Online Ayurvedic Consultation is basicaly meant for patients who live distant from clinic locations or can't come due to some serious health issues. Online ayurvedic consultation can be done via Skype, What's app or Telephone. Ayurveda treats a whole individual instead of a single disease. So, it takes a lot of time to analyze all factors contributing ill health of a patient including involvement proportions of vata, pita and kapha doshas. Therefore, selection of a proper ayurvedic medicine is required for each individual with different ingredients or herbs according to involvement proportions of doshas and based on several other factors. In ayurveda, medicines can be different even for the same disease in different people. We are expert in the field and we can definitely help you. A valuable opinion is the first step towards your ayurvedic journey that starts here with ayurvedic consultation. Life Line Ayurvedic Herbal Clinic provides online Ayurvedic consultation with experienced and best ayurvedic doctors. Fill the complete form given below and mention about your health issues as much as you can in 'Special Requirements' box. You can email your health reports to 'anupamvasudeva@gmail.com'. Our doctors will provide you the best opinion and prescribe an effective treatment according to your health condition. Deep analysis of your health issues as per ayurveda. Ayurvedic Prakriti ( Body Type analysis ). Recommendations of Ayurvedic medicines and herbs suitable for your health condition. A need to bring about an ayurvedic change in your body by eating right and healthy excercising. Tips for changing your eating habits and lifestyle. There is a possibility of yoga and breathing excercise to be included in the plan. There will be few fellow up sessions where progress will be dutifully tracked and suggestions offered accordingly. Fill the complete form ( Inquiry Now ) given below, write about your health issues as much as you can in 'Special Requirements' box. You can email your health reports to 'anupamvasudeva@gmail.com'. Please note that Health Fund Rebates are generally not available for distance consultations. If you are required to have additional medical tests you will need to organise these and email a copy of results. Medicines' cost is not included in the consultation fee. You have to pay extra, depending on your health issues. Your prescribed ayurvedic medicines will be mailed to you, including instructions on how to use them. It is client's responsibility to ensure that there is no customs restrictions in importing ayurvedic and herbal supplements. A follow up consultation will be arranged, usually two to four weeks after commencing your medicines. As the payment is made per consultation basis we don't give any refunds once the payment has been transferred. The only situation we can refund the fee is, if we are unable to process your case and post the required medicines in seven to ten working days time. Please note that our usual time for analysing the case and posting the medicines is two or three working days. 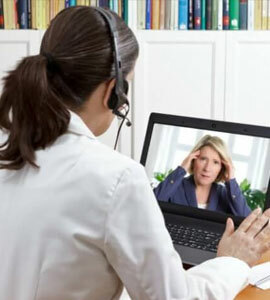 Although we assure you of our best possible efforts for those who apply for long distance online treatments, we advise you to consider our services as a complementary and supportive treatment only. Ayurvedic medicines are considered to be essentially non toxic and free from any unnecessary side effects. Life Line Ayurvedic Herbal Clinic takes no responsibility for any unusual and unforseen complications experienced by the patients after the start of the treatment. We respect the privacy of the users of this website and appreciate the importance of information submitted by them. Life Line Ayurvedic Herbal Clinic does not share the information submitted by our users and clients to any other third party. It is our policy to take written consent from our clients before publishing their testimonials on this site. Consultation fee is valid for 2 weeks (14 days). After 14 days, you require to refill the form and pay the fee again. Copyright © 2018 Life Line Ayurvedic Herbal Clinic All rights reserved.